Bruce was born and raised in Oklahoma and now resides in Athens, Texas. 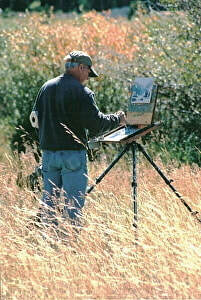 He is a signature member of the Oil Painters of America, the co-founder of the Outdoor Painters Society. and a member of the Oklahoma Society of Impressionists. 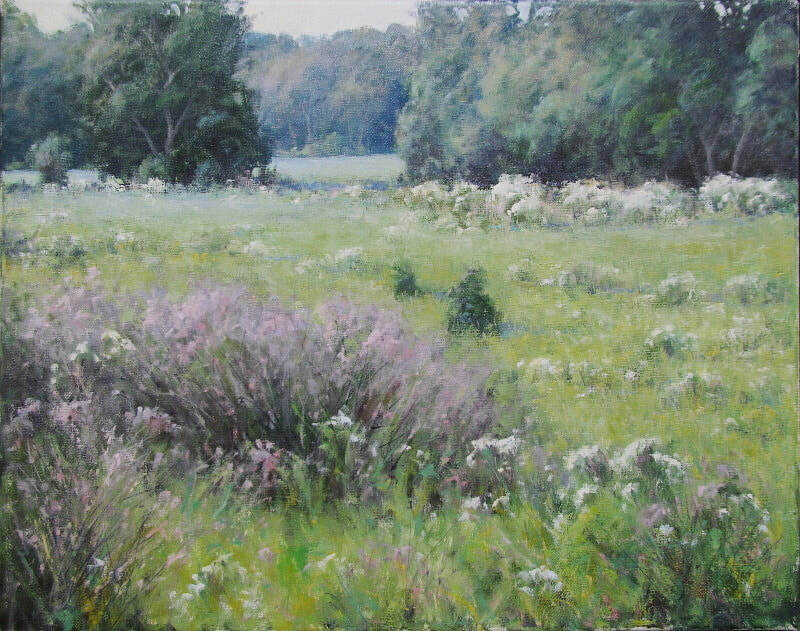 His paintings are widely collected and he is primarily known for his landscape paintings. 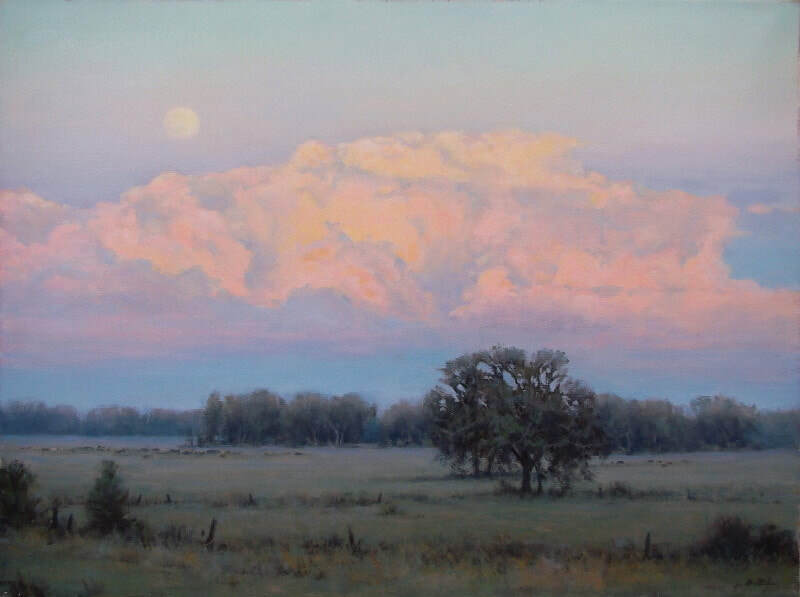 "No matter what the subject matter is, it's that fleeting moment in time and the particular feeling of the light that I strive most to capture in my paintings. I want the viewer to feel as though they are experiencing that moment in time. My goal is to capture the truth about the subject without over embellishment of color or too many unimportant details that can distract the eye from the main idea. The light." "There are many artists who have influenced me and whose work I admire. Besides the obvious Sargent, Zorn, and Sorolla, there were artists like Wilson Hurley, Robert Lougheed, John Clymer, Clyde Aspevig, James Reynolds, John Encinias, and so many more whose work had a big influence on me at the beginning of my art career. I discovered these great artists paintings at the Cowboy Hall of Fame in Oklahoma City when I was first beginning to paint. As a young artist, having access to paintings of this quality confirmed the direction I wanted my work to take and gave me a goal that I will always be striving to achieve. But as much as I admire these great painters works, my goal has always been to let my own style evolve naturally and to make my own statement. " 2017------------Haley Memorial Library Show & Sale, Midland, TX. 2014thru2016----Haley Memorial Library Show & Sale, Midland, TX. 2013 thru 2017---Miniature Show, Collectors Covey Gallery, Dallas TX. 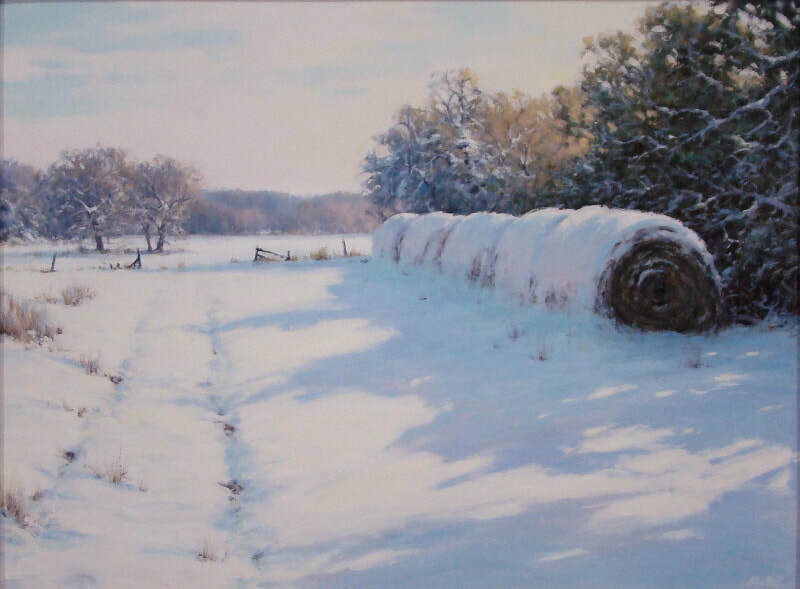 2013------------Texas Masters Show, Insight Gallery, Fredericksburg, TX. 2014---One Man Show, Warehouse Living Arts Center, Corsicana, TX. 2001--One Man Show, Ann Hughes Gallery, Dallas, TX.